Oh what a night - "Fight Night 2013"
Ever since I learned I had Parkinson's disease (PD), I have dreamt of attending "Celebrity Fight Night." There are auctions for fundraising, awards given out, and live entertainment. But I think it is best known as the annual charity gala where people from all over the world come to honor Muhammad Ali. The Parkinson’s awareness that comes from the event, and the money raised through auctions and generous donations, bring us closer to the cure. For a person living with Parkinson's disease (PWP) attending and being in the same room with "the Greatest" is an honor. This year I was fortunate to be able to attend. The event is formal, and the women who attend are beautiful and bejeweled, wearing stiletto heels and the gorgeous gowns of their dreams. (The men in their tuxes looked very nice, too.) I was there in my black flats and wielding two walking sticks. The room was packed with tables set close together – somewhat difficult for me to negotiate. Without my sticks, I’d have bumped and stumbled my way between tables, knocking into chairs and running into people along my way. But as it was, I think I only impaled two people with my sticks, and I only tripped over my own feet. I did get a certain amount of attention from the other guests as I walked around. I didn't mind a bit, and I sincerely hope my presence reminded them that their generosity that evening would help many people like me who are living with Parkinson's. 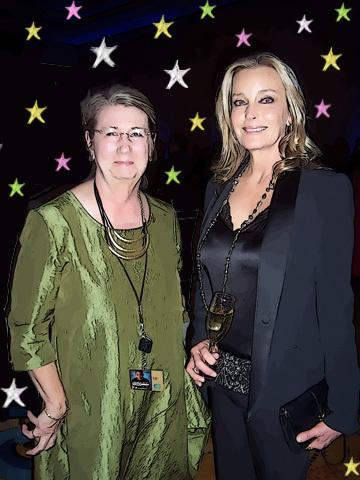 Much as I hated bothering her, I couldn’t resist asking Bo Derek if I could have a photo taken with her. She was gracious and said yes. For her it was just one more photo with a fan, but for me it is special souvenir. It was a magical night, and it is one I will never forget. 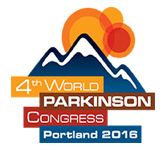 I was proud to be there as a representative of the people in the Valley who have Parkinson’s. My personal thanks to the folks at USA TODAY Sports Media Group, the Arizona Republic, and Channel 12 News, for the “Ali Inspires” contest they ran which awarded the tickets to me. And of course a big thanks to everyone who is involved with "Celebrity Fight Night."